Provide comfort for the family of Amber Anderson with a meaningful gesture of sympathy. 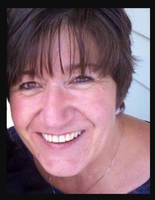 Amber Suzette Anderson, 63, of East Wenatchee, passed away at her home on Monday, February 18, 2019. 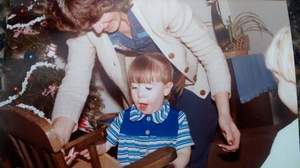 She was born on December 16, 1955 in Wenatchee at the old Deaconess hospital, to the late Leonard and Mini (Sharpe) Regan. She was raised in the Wenatchee Valley and graduated from Wenatchee High School in 1974. She met Gerald Anderson at the Wenatchee First Church of the Nazerene and they were later married on December 24, 1976 in Wenatchee. 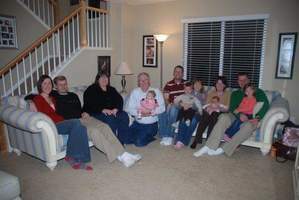 They moved to Caldwell, Idaho and a short time later their first daughter, Melissa was born. With Gerald’s employment, they were transferred a number of times. While living in Pasco, their twins, Sarah and Braydon were born. They also made moves to Boise, Idaho, Benton City, Eugene, Oregon and Puyallup. She was preceded in death by her husband, Gerald in 2009 and she returned to make her home in East Wenatchee that same year. Amber met Symon Ball on September 5, 2012 and they were later married on January 1, 2013. They made their home together in East Wenatchee. As a child of God, Amber devoted her life to him when she was six years old. She was a longtime member of the Wenatchee First Church of the Nazerene and she often sang up front in church. She loved music and singing which also led her to becoming the singer in the park at Benton City for their 4th of July Celebrations. She enjoyed crafting, however, Crosstitch was her favorite. She liked bakingand cooking, cheering her family on when they ran in marithons and watching Gerald fly radio controlled airplanes. She is survived by her loving husband, Symon Ball, East Wenatchee; three children and their spouses, Melissa (Jeremy) Rheil, Tampa Bay, Floida, Sarah (Scott) Zimmerman, Rapid City, South Dakota and Brayden (Cassandra) Anderson, Colorado Springs, Colorado; two step-daughters, Sarah and Victoria Ball both of the United Kingdom; six brothers and sisters, twins, Bob (Myrna) Regan and Becky (Neil) Irmer all of Waterville, Kathy (Charley) Shaw, Wenatchee, twins Donna Regan, East Wenatchee and Dixie Regan, Wenatchee and Bernette (Gary) Beach, Everett, Washington and her eleven grandchildren. She was preceded in death by her parents, Leonard W. and Minnie B. Regan; her first husband, Gerald Anderson and an infant brother, John Charles Regan. A Graveside service will be held on Friday, February 22nd at 2:00 p.m. at Evergreen Memorial Park Cemetery, 1301 10th Street N.E., East Wenatchee, with Pastor Tom Nees officiating. The interment will follow the service. A Open House and time of commemoration, will be on Saturday, February 23rd from 12:00 p.m. to 5:00 p.m. at their home, 31 N.W. Hadley Street, East Wenatchee. Everyone is invited to visit her tribute online at www.HeritageMemorialChapel.com and leave a memory for the family. To send flowers in memory of Amber Suzette Anderson, please visit our Heartfelt Sympathies Store. Provide comfort for the family of Amber Suzette Anderson by sending flowers. I am so sorry about the loss of Amber. We attended Waterville Elementary School together until the Regan's moved to Wenatchee. We had lost contact for many years until we were reunited via Facebook a few years ago. I immediately felt a true friendship was developing. I will miss her poignant and often numerous postings and never forget when she and Symon visited me and brought flowers when I had surgery. I love and will miss you, my friend. May you rest in peace in the arms of God. The day Amber met Miss Quinn & she went to her amazing Furever home! 2010 when I met Amber. Always loving always kind.